Among Julian Alps and the Adriatic Sea, in the North-East of Italy and at the border with Slovenia, in the province of Gorizia there is a land characterized by hills, ancient vineyards, small villages, natural reserves and forests, and a thousand year history. 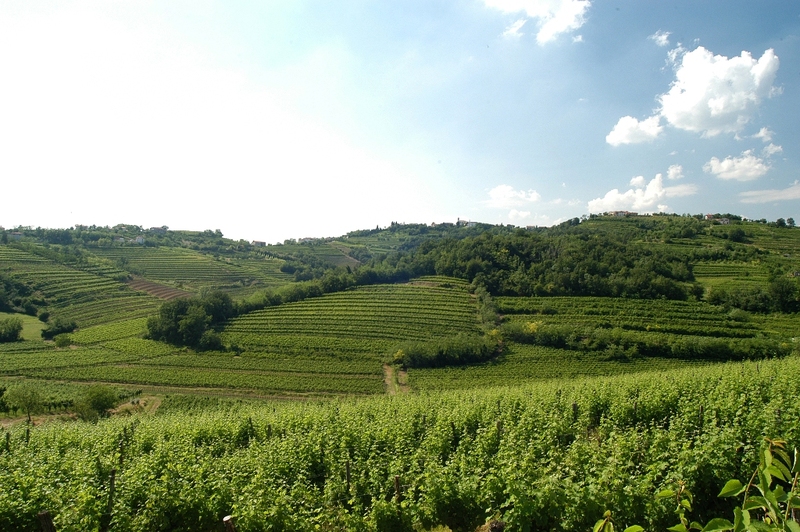 In this area, called Collio, the particular environmental conditions and soil, consisting of marl of Eocene origin, fostered the development of a quality wine-growing as well as production of DOC white wines, known all over the world. 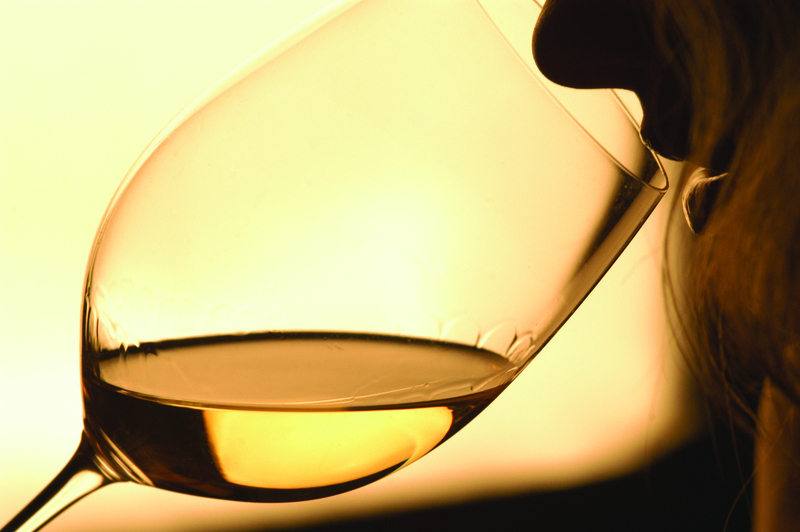 These wines are marked by a distinct minerality and great longevity. 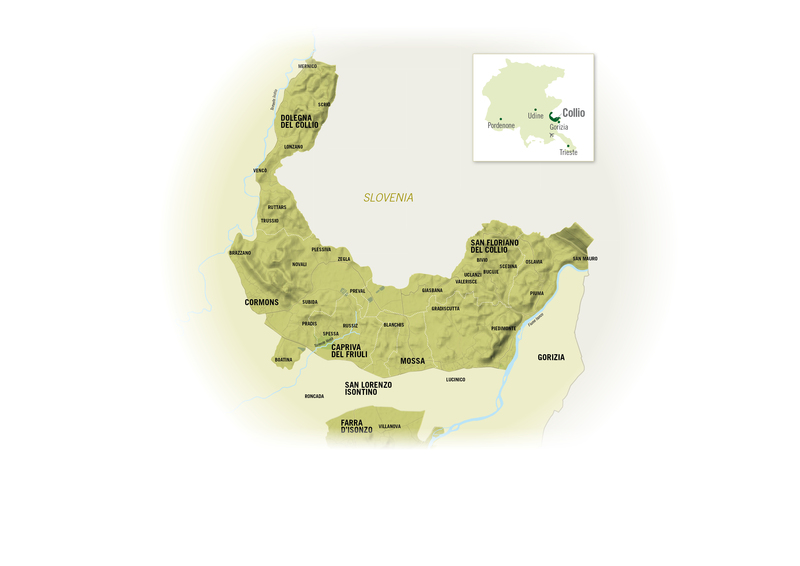 The 1,500 hectares of vineyards, spread between the municipalities of Gorizia Capriva, Cormòns, Dolegna del Collio, Farra d'Isonzo, Gorizia, Mossa, San Floriano del Collio, and Isonzo San Lorenzo give life to the best white wines of Italy, thanks to the autochthonous vines Malvasia, Ribolla, Friulano, and Piccolit, and a universe of such international vine varieties as Pinot Grigio, Chardonnay, Pinot Blanc, Müller-Thurgau, Riesling, Sauvignon Blanc, and Gewürztraminer. Today, the producers Consortium is active in protecting, enhancing, and promoting this DOCG. This association was founded in 1964 by the Count Sigismund Douglas Attems di Petzestein and this year it celebrates the 50th anniversary of its activities. 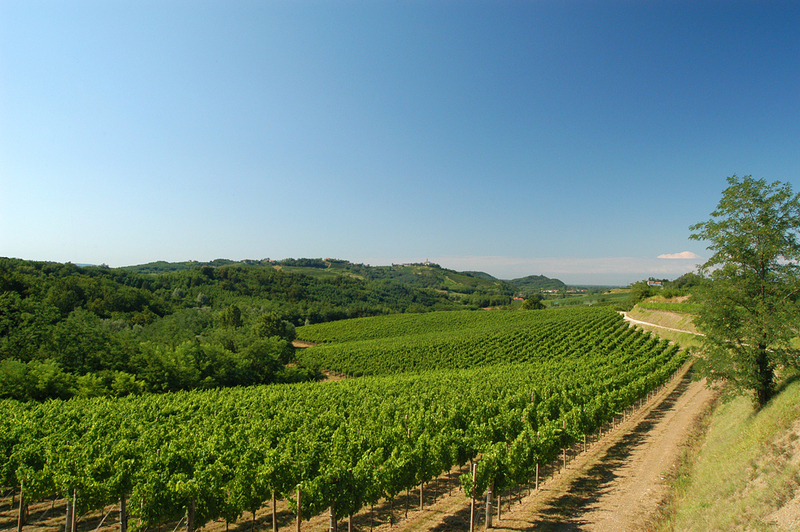 The Consortium includes 180 member companies and today it aims at promoting and enhancing abroad its wines and its flagship product: the Collio Bianco wine. It was commissioned by the Count Attems as a tool for communicating this land. It was codified by specifications in 1968 and it is currently produced by 100 companies. It is obtained by means of a blend of several varieties of white vines, according to the free interpretation of wine-making experts. The Collio Bianco wine is characterized by a bright colour, ranging from pale yellow to deep golden; its taste is precious and persistent, with mineral tones; its scent and flavour are intense, complex and extensive, from floral or fruity tones, fresh and fragrant, to crisp notes, reaching deep and mature tones, according to what each producer wants to express, always using varieties recognized by the specifications. The challenge of the Consortium consists in giving life to a DOCG Collio Bianco, recovering its original identity and realizing it only through the three autochthonous vines (the Tocai) the Friulano, the Malvasia and the Ribolla, in order to turn it into a hallmark of this land and for its producers both in Italy and in the rest of the world. In communicating the identity of this area, an important role is also played by the bottle ‘Collio’, which the producers have wanted since 2009. It is characterized by a unique shape, which reminds past styles, with its high quality low section cap, and a yellow capsule. This bottle weighs only 500 grams, the inscription ‘Collio’ is engraved on the bague and helps to convey in the best possible way the wines from Friuli abroad. The goal consists in promoting the brand ‘Collio’ in the USA, Asia, and Latin America. Environmental sustainability, too, as well as wine testing and research, are especially important elements. The Consortium, in addition to undertake a path of genetic conservation of native vines in order to preserve and hand down to future generations their genetic potential, since 2004 has enabled the Control Plan for the production chain, aimed at monitoring the entire production process of the wines included in this denomination of origin, allowing to go back from the bottle to the production vineyard. Robert Princic, current president of the Consortium, says: «Collio is a land characterized by important traditions. Just thanks to its geographical position, it is influenced by different historical and cultural elements and it has all the complexity and richness of a border area. It has always been linked to wine growing as well as to the production of white wines, both local and international, which here have found their highest expression. Since ancient times, this land has been able to show foresight and the ability to innovate. In the late '800, when ‘Collio’ was under Austrian rule, here there was an early form of aggregation between wine producers, the forerunner of the present Consortium. Still today, our producers and wineries continuously pursue quality, and this has allowed viticulture to grow and succeed, enhancing local area and the uniqueness of our land. That is why our priority consists in making the Collio Bianco the mouthpiece for this denomination, using, in order to produce it, the three most representative vines which were used in the past: Ribolla, Malvasia, and Friulano».